The Rolling Stones were at No. 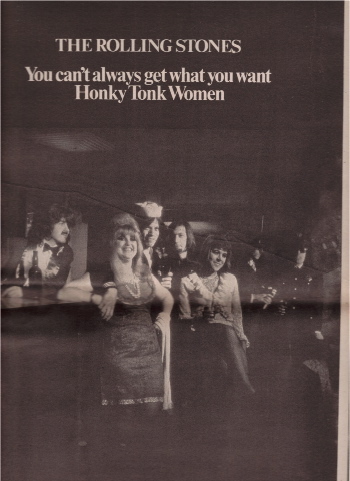 1 on the UK singles chart with “Honky Tonk Women’, the group’s 8th and last UK No. 1. The song also topped the Billboard Hot 100 for four weeks from 23 August 1969. It is ranked #116 on the list of Rolling Stone’s 500 Greatest Songs of All Time. Two versions of the song were recorded. Both are excellent in their own way. ‘Country Honk’ is the country version of the song released on Let It Bleed five months after the single release. Some good company right there. I hope you all had a great Independence day. You may have caught some fireworks, maybe even blew some stuff up yourselves. Anyway, we all get back to the grind this week and as I drove back into this wonderful city of brotherly love, I was reminded of how great it has been to live here. I tip my hat to Philadelphia. Great history, great music, great food, great city. So, thanks for celebrating with me. And thanks for listening to Shady Groove.